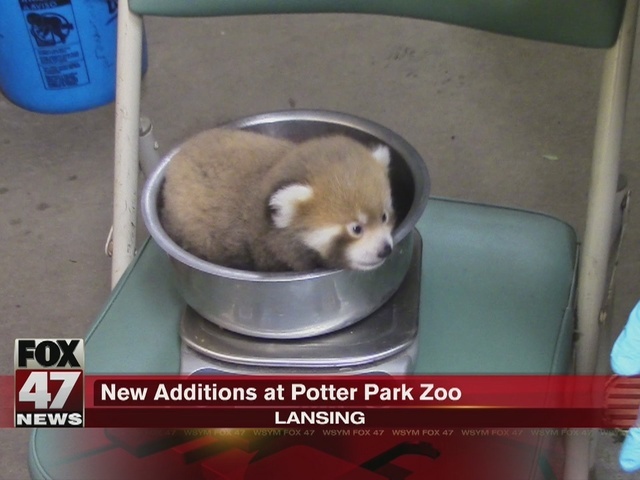 Potter Park Zoo has announced the birth of two red panda cubs at the zoo. The two cubs, one male and one female, have not been named yet. They were born on July 2, 2016 to zoo resident Maliha. It is her first birth, and she has been caring for the cubs since they were born. 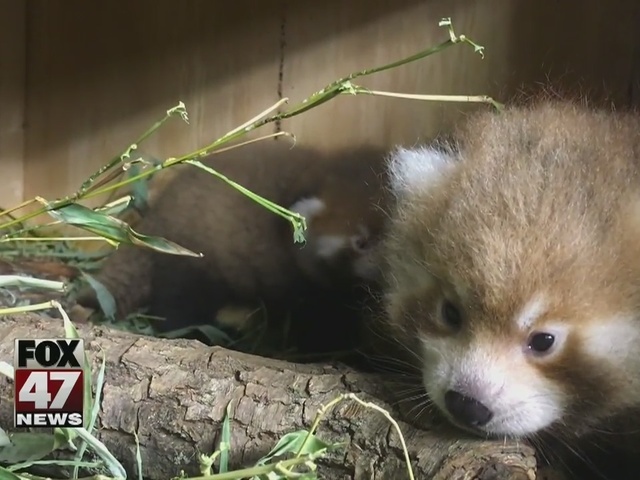 The cub's other parent, Rupert, along with Maliha were recently introduced to a new, expanded red panda exhibit at the zoo. The cubs are not currently on exhibit for zoo visitors to see. They remain in nest boxes where they are being cared for by their mother, and zoo staff. The animal care staff conducts regular weight and wellness checks to monitor their growth and make sure they are healthy. The cubs recently opened their eyes and are becoming mobile, but need to get larger before zoo visitors can see them.